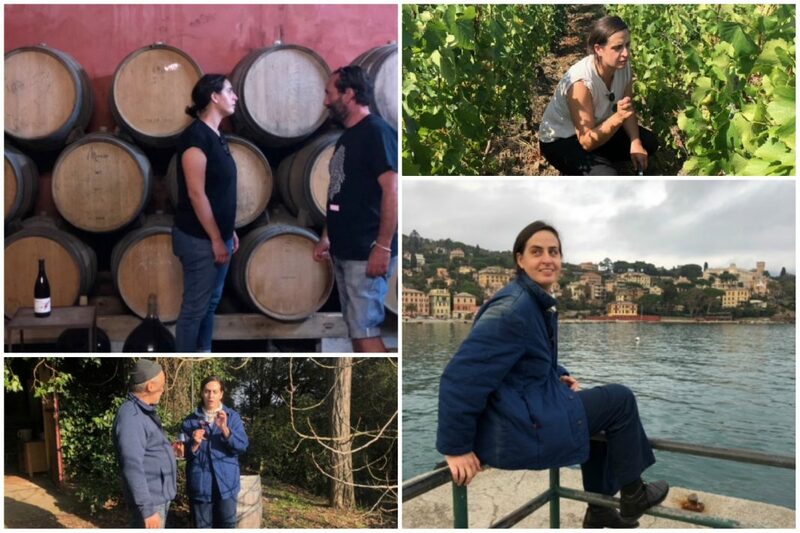 Sommelier Roni Ginach was very close to becoming a psychoanalyst when she chose to focus on the centuries-old tradition of fermenting grapes rather than the century-old tradition of exploring the unconscious mind. As she moves away from working on the floor selling wine to guests, she’s now helping winemakers gain access to the shops and wine directors that are interested in selling what small producers have to offer. Wine is what brought Ginach to Los Angeles to begin with. At Kismet, she established the foundation for the completely natural wine list the restaurant is now known for. Then she moved on to Michael’s, the Westside institution that has a history of being one of the first restaurants in L.A. to import wines from some of the most important producers from Italy. “Michael’s was the first place in L.A. with a competitive wine list,” Ginach says, referring to the restaurant’s early days in the 1980s. She was able to take on a very classic list and start the process of crafting something that straddled the line between the time-honored wines that many of Michael’s patrons were used to and wines that were a little more obtuse. While learning the palate of the California wine drinker Ginach started to think more about distribution and importing. Through a friend and wine maker she met Coturri, who needed someone to represent him in California, and Ginach took on the challenge. Coturri has been making natural wine in California since 1979. Natural wine has many criteria but the basic tenets are that the fruit is hand picked, the wine is made without the use of chemicals, and that it reflect is the region in which it was produced. Ginach believes that wine is inherently political. Land conservation, water rights, the practicalities of certification are ideological topics that winemakers tackle daily. Going beyond the politics of agriculture, Ginach wants to represent winemakers who think progressively. Ginach says that when you taste good wine “you can feel when there’s life in it” because of the people who make it. She hopes that force palpable in the wines she imports.